Grug, that unassuming little hero from the Australian bush, has been around since 1979! That's quite some history! But he's had a bit of a chequered past. While he was a firm favourite in homes during the 1980s, the series sadly went out of print in the 1990s, until — in 2009 — Simon & Schuster republished the original 24 titles … and began adding to them! 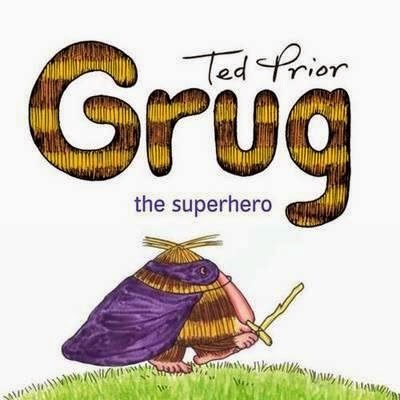 The latest is Grug the Superhero. So, if your family hasn't already discovered this little Aussie icon, who has sold over a million copies in his lifetime, perhaps you should start with this one.